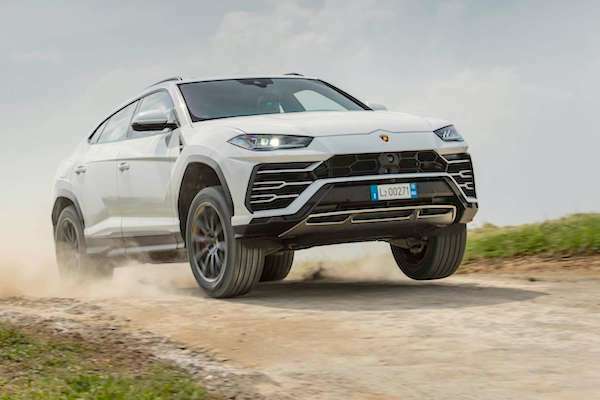 Lamborghini has registered its first Urus in Switzerland in June. New car sales in Switzerland edge down 1.4% year-on-year in June to 31.476 registrations, pulling the year-to-date volume down 0.6% to 157.910 units. Both brand leaders Volkswagen (+7%) and Mercedes (+1%) defy the declining market with year-on-year gains, VW even reaching a strong 12.8% share vs. 10.9% so far in 2018. In contrast, BMW plunges 21% to 7.5% in third place. Ford (+18%) and Dacia (+17%) are the only two Top 10 carmakers to post double-digit growth. This is Dacia’s 4th time in the Swiss Top 10 in the past 12 months after July 2017 (#9), November 2017 (#10) and February 2018 (#10). 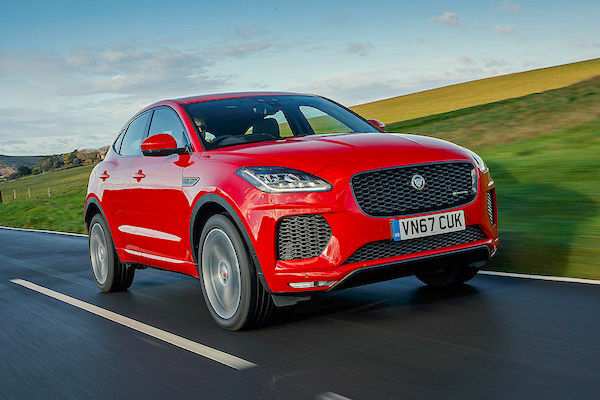 Further down, Jaguar (+94%), Lamborghini (+78%) registering its very first Urus, Kia (+59%), Mitsubishi (+58%), Jeep (+55%), Land Rover (+55%) and Volvo (+31%) impress while Maserati (-43%), Lexus (-36%), Smart (-26%), Hyundai (-25%), Peugeot (-22%) and Toyota (-20%) implode. The Jaguar E-Pace is up to #53 in Switzerland this month. Over in the models ranking, the Skoda Octavia (-12%) remains on top despite a significant drop while the VW Tiguan soars 23% to 2nd place for the first time in 2018 potentially thanks to the addition of the AllSpace variant. Meanwhile the VW Golf (-34%) endures a worryingly steep fall ahead of the T6 (+16%) and T-Roc remaining at a record 5th place for the second month in a row and making the Top Five 100% VW Group. The Mercedes GLC (+43%) rallies back up two spots on May to #6 but still evolves below the #4 ranking it commands YTD. Excellent score of the Dacia Sandero at #7 overall (+11 on May) as well as the Ford Fiesta (+244%) boosted up to #8 by the new generation. Below, the Volvo XC60 (+92%), Suzuki Swift (+88%), Renault Captur (+29%) and Fiat Tipo (+28%) stand out. Among other recent launches, the Skoda Karoq (#31) is up 9 ranks on May and the Jaguar E-Pace (#53) up 61. Full June 2018 Top 52 All-brands and Top 340 All-models below.